PEGGY HOLMES is a choreographer, dancer and director. She choreographed the scene with Michelle Pfeiffer on the piano in The Fabulous Baker Boys (1989). 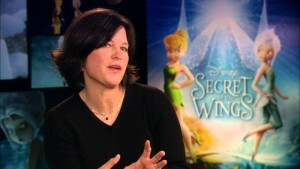 Her film directing debut was The Little Mermaid: Ariel’s Beginning (2008). She has gone on to direct other Disney projects.